Do you have to work with millions of customers every day or manage billions of rows inside your database system? Maybe it’s time to scale beyond the limitations of a single server and enter into the world of endless scalability. PL/Proxy offers incredible scalability and superior throughput for large database setups. Enjoy all the flexibility of a full-blown relational database server and benefit from the scalability of a professional software solution. 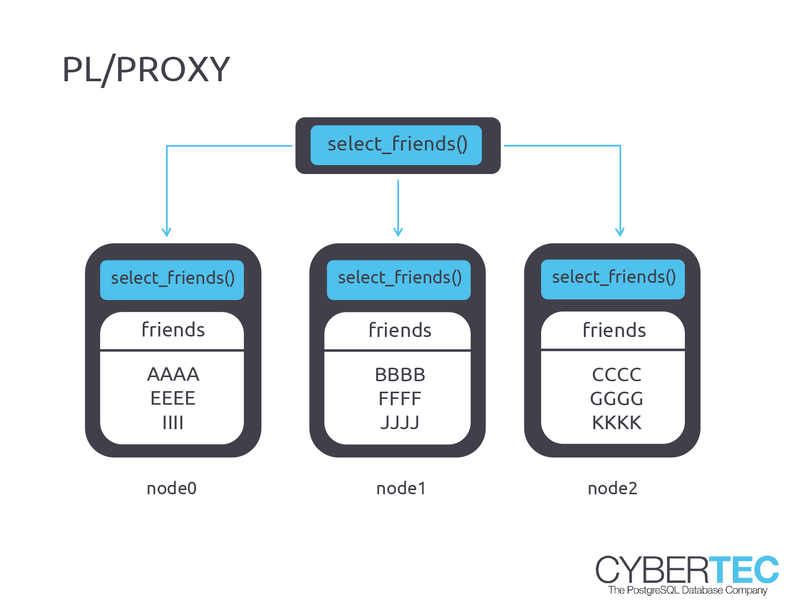 PL/Proxy is the traditional way to scale out PostgreSQL. It is no longer as important as it used to be, but for many years it has been pretty much the only way to scale out PostgreSQL. The idea behind PL/Proxy is to provide a stored procedure language, which is only there to scale out close to infinitely. For many years PL/Proxy was key to scaling OLTP beyond a single machine. If query is executed on several partitions, execution can happen in parallel. Queries can be run in auto-commit mode on the servers inside the cluster. If you would like to learn more about scaling with PL/Proxy, contact our team of experts today.